Millions of amputees worldwide live with the loss of a limb, especially in developing countries that don’t often have access to expensive prosthetics. The most common is hand or arm loss. Robotic prosthetics are cripplingly expensive, clunky and heavy, and can take months to obtain – especially for families of children, who need to be refitted as they grow. 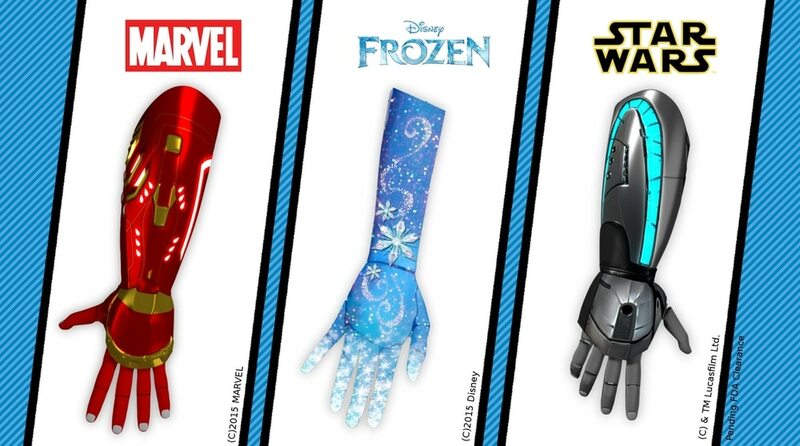 Inspired by six-year-old Charlotte, who lost all her limbs to meningitis, and four-year-old Alfie, who was born without a right hand, robotics graduate Joel Gibbard wanted to make an affordable and desirable superhero inspired-hand. In 2014 he set up Bristol-based startup Open Bionics to create a prototype. The Dextrus hand uses what is called ‘soft robotics’. The wearer is scanned for a custom-fit hand and socket, which are 3D printed with a flexible LEGO-like material that replicates bones, ligaments and skin. Sensors attached to the wearer’s skin then pick up muscle movements so that fingers can carry out complex tasks. Consisting of only four manufactured parts, it is thanks to 3D printing that the hand can sell for £2,000, which is dramatically cheaper than other bionic arms, which can cost up to £80,000. Open Bionics are also currently developing the Ada hand, a fully articulated robotic hand with a kit of parts that can be assembled in around one hour using standard tools. In 2015 Gibbard grabbed the James Dyson Award and in 2016 Open Bionics won the WIRED Audi Innovation Awards for Social Innovation. “These previously existed in science fiction but today they’re a reality,” co-founder Samantha Payne told the audience at WIRED Next Generation. In 2017 they will bring their 3D printed robotic medical devices to the NHS for children without limbs. 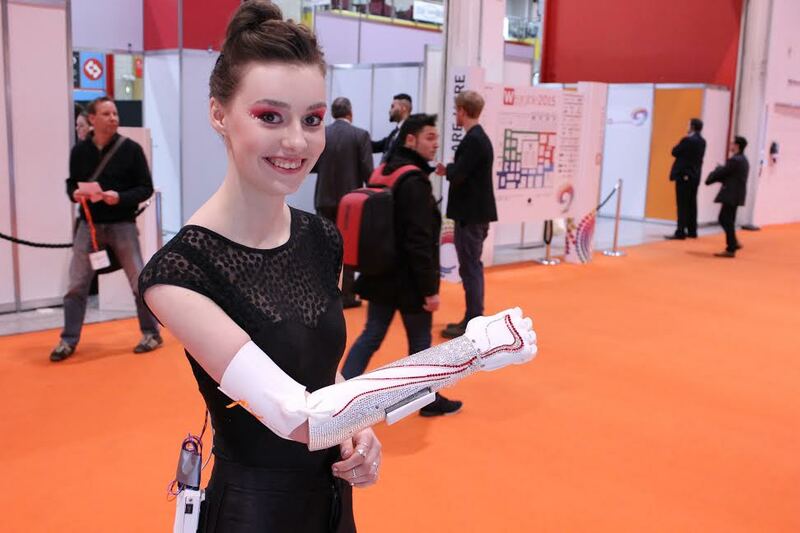 The very cool company just introduced the Hero Arm in March 2018 – the first-ever medically approved 3D Printed bionic arm. It can be custom made for children as young as eight-years-old, is lightweight yet strong, can rotate through 180 degrees, and is able to lift up to eight kilograms with a posable thumb that can easily pick up small objects. They have made the files open source, allowing anyone to benefit from the technology: “This is about driving a big change and democratising technology,” Gibbard adds, “enabling amputees to gain greater independence, and to encourage young amputees to feel good about their differences.” What’s more, it’s a perfect fit that also looks cool. Tags: 3D printing, Digital fabrication, Open source, Prosthetics, Robotics.